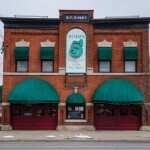 Join us for our annual Thanksgiving Mixer at Number 5 – One of our best events of the year! Appetizers will be provided, hope to see you there! 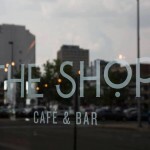 Join STYP for a mixer at the Shop, on Washington Street in Downtown Binghamton. Several platters of hors d’oeuvres are to be served, and there will be drink discounts TBA! ADDED BONUS: Everyone who attends will receive a ticket for one drink at $2 off! Our mixer will take place in the back area of the restaurant – Hope to see you there! The Young Professionals (YP) Alliance is a brand new strategic partnership of the Greater Binghamton Chamber of Commerce. We’ve established a network consisting of the Southern Tier Young Professionals, The Emerging Leaders Society, and The Broome County Urban League Young Professionals to empower the young professionals and emerging leaders of Broome County. 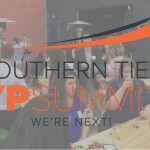 Along with great food, awesome music, and fantastic programming the YP Summit is the first of its kind in the Southern Tier. We are dedicating an innovative half-day conference to Young Professionals for both personal and professional development in the Greater Binghamton area. 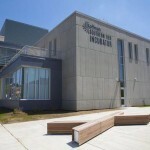 Join STYP for our 3rd Quarterly Meeting at the brand new Koffman Southern Tier Incubator. We will tour the facility and then after the meeting hold a mixer at The Relief Pitcher where appetizers will be provided – hope to see you there! Join STYP as we participate in the annual Broome County Riverbank Clean Up! 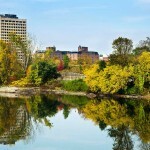 Volunteers will work to pick up trash and beautify the riverbank in downtown Binghamton, along the portion of the Chenango River between Memorial Bridge (Riverside Drive) and The Clinton Street Bridge. We will meet in the back of the Roberson Museum parking lot at 9:45am. Clean-up supplies such as bags, gloves, and garbage pickers will be provided. Please contact Kyle Nedlik at kbnedlik.gmail.com if you have any questions, and RSVP on the Facebook event shown below if you might be attending. Being an effective leader involves the capacity to give and receive feedback and the ability to resolve interpersonal conflicts in a constructive manner. 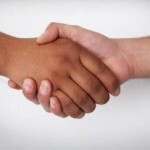 interpersonal relationships (businesss and personal) and create a culture of continuous feedback. We will learn and apply a six-step Constructive Conversation Process to resolve interpersonal conflicts with sustainable solutions. Please register to receive the latest information and to give us an accurate headcount.